Who Will Win The 2007 Colorado Pro? Who will win the 2007 Colorado Pro? Find out right here as our forum members tune in and put down who they think will win and more! TOPIC: Who Will Win The 2007 Colorado Pro? Give a list of who you think will place in the top 10 and explain why. How do you think the Colorado Pro compares to other shows? Bonus Question: Did you attend last years Colorado Pro Show? If so, what did you think of it and how was your experience? Was it what you thought it would be? How could it be made better? 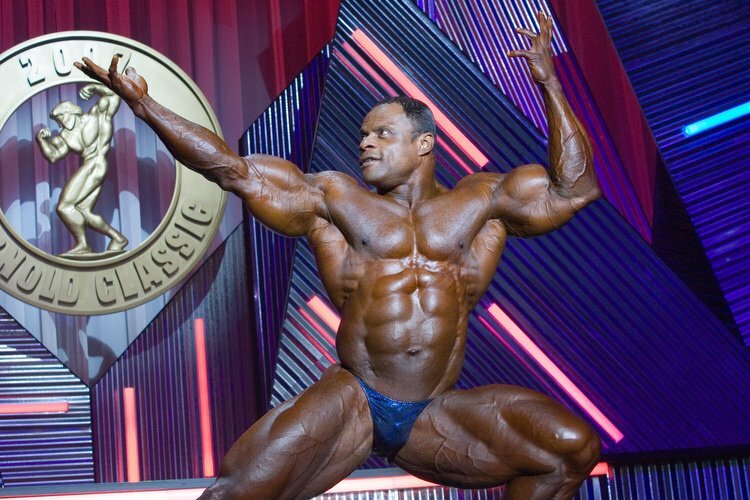 Darrem Charles has won one pro show every year since 2002, and I don't believe this year will be any different. The only thing that might change is which show he wins. Darrem usually begins the season strong, placing 2nd at last years Colorado pro and NY pro, runner up to Phil Heath who is no longer in the running. Darrem Charles At The 2006 Colorado Pro. Darrem is also rewarded for his condition more so at the smaller shows than say the Arnold or Olympia. Assuming he is on point, I believe that this show belongs to him since he brings the package that has a better balance with size, symmetry, and condition over the other competitors in the line up. Darrem Charles At The 2007 Keystone Pro. After a difficult time swallowing second at the NY Pro, I believe he will have another hard time at this show, since Dennis was beaten last year by Darrem at around the same time. However, if Dennis can improve condition enough between the NY Pro and the Colorado Pro, I believe he could outsize Darrem enough to go up over the top and win it. 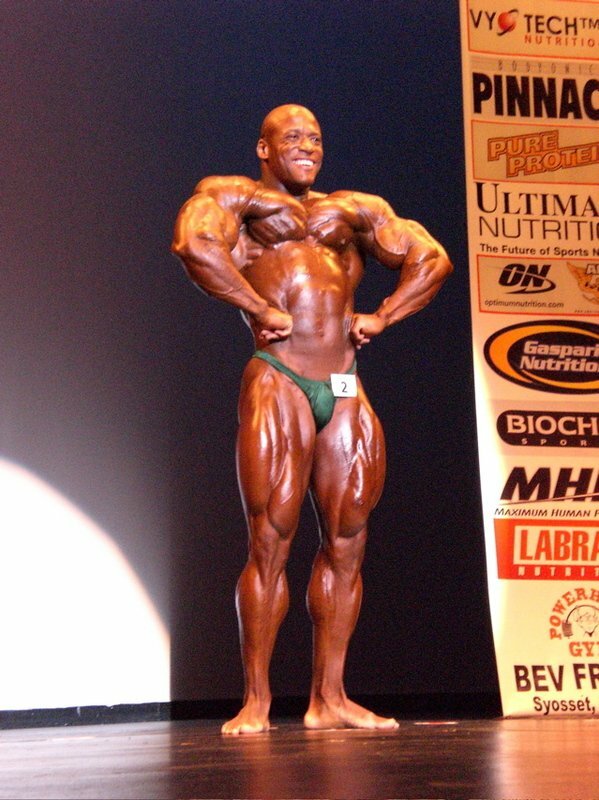 Dennis James At The 2007 New York Pro. Unfortunately for Branch, he's not the best at holding conditioning from show to show. He is never consistent throughout the year with his placings, especially when examining his 2006 Arnold showing. 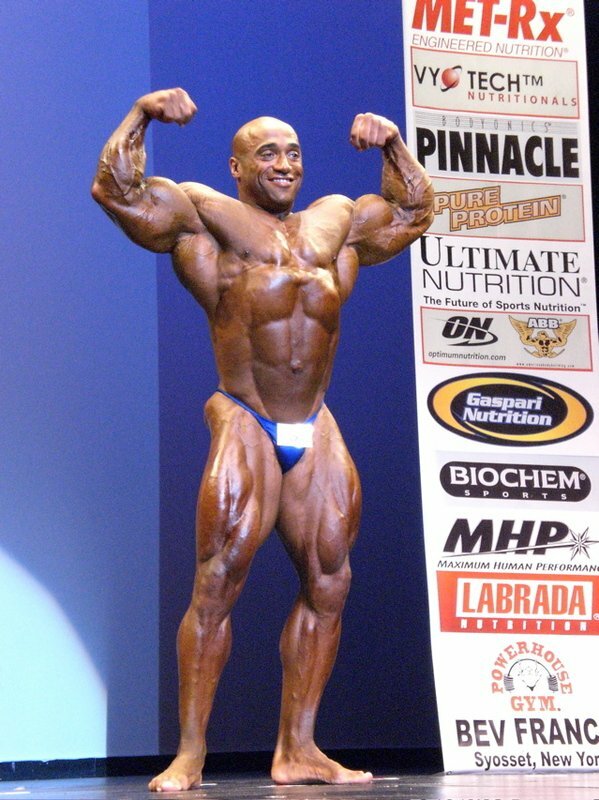 Branch Warren At The 2006 Arnold Classic. The very next week, he lost to Gustavo who was two spots behind him the week before. Granted, the judging criteria may be slightly different, but it still wouldn't be the first time Branch's conditioning has been inconsistent. If miraculously he can hold the conditioning that won him the NY Pro this year, or better, improve upon it, I'd say he's still a contender for first or second. 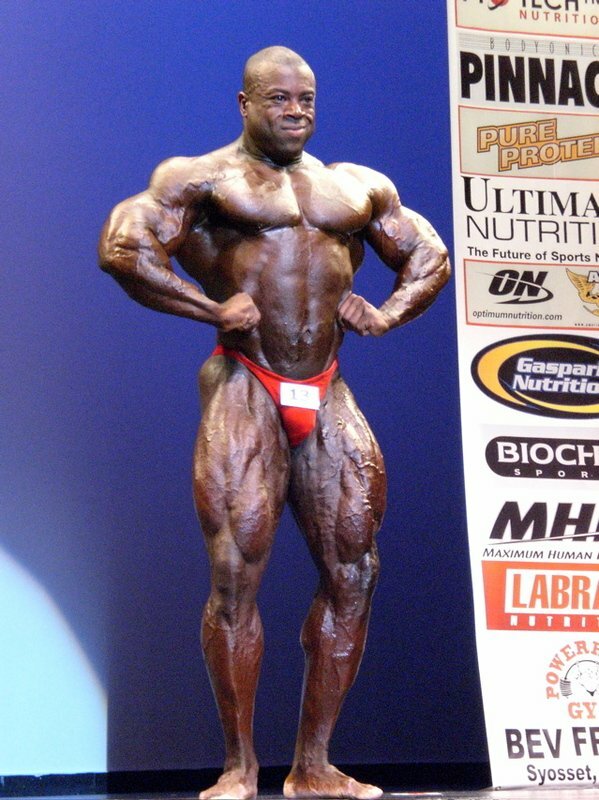 Branch Warren At The 2007 New York Pro. Johnnie Jackson has been improving lately, but I give him this placing assuming he has kept that conditioning or improved upon it slightly. 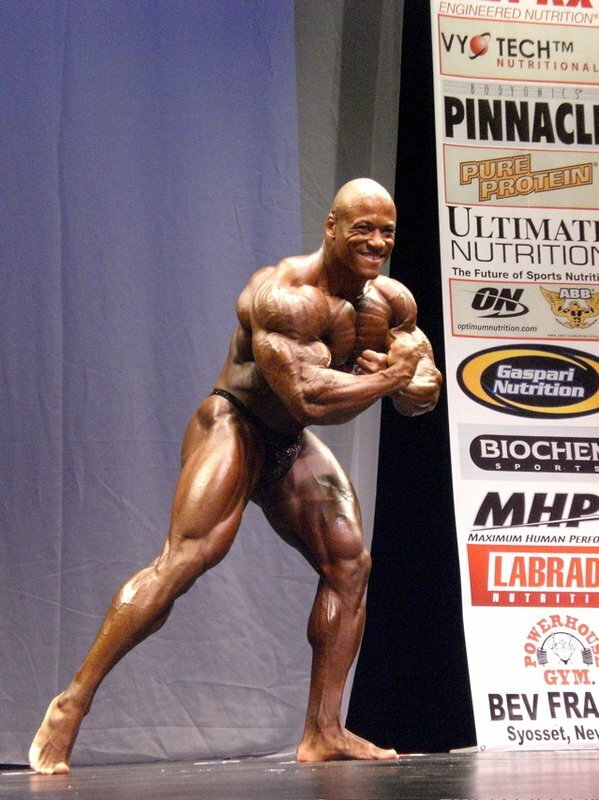 Johnnie Jackson At The 2007 Keystone Pro. 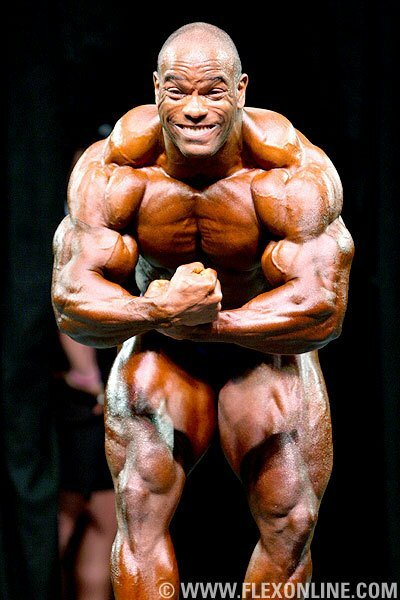 However, Johnnie is usually a middle of the pack bodybuilder, and has only won one pro show, which isn't much next to the other guys in the line up (even though Dennis only won a single show himself, he still places better at the big shows). Johnnie brings balance to the table, but I can't see him beating out the other three guys. As badly as I think this guy deserves better, as Lonnie Teper said, "He's currently the most underrated bodybuilder". I want to place him 2nd, but I don't think the judges will give it to him. Ronnie Rockel At The 2007 Australia Pro. Ronnie Rockel has a complete physique, and lacks nothing except a small percent better conditioning. Other than that, this guy SHOULD really be doing damage. Why he isn't, I'm not sure. But I still thing he will fair well in comparison to the overall lineup. Ronnie Rockel At The 2007 Arnold Classic. We saw some good things from this guy earlier in the year, but after the NY Pro, I think this guy is going to have a hard time continuing to hold conditioning. 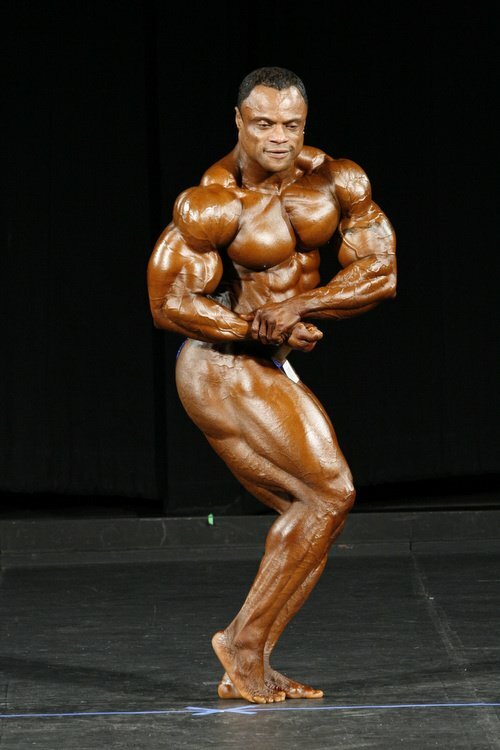 Silvio Samuel At The New York Pro. He will place top 10 without a doubt, but the fact of the matter is, this guy really hasn't taken time off to improve much, and I don't know how much sharper he can be. I just don't see his conditioning improving enough for this show to up his placings. 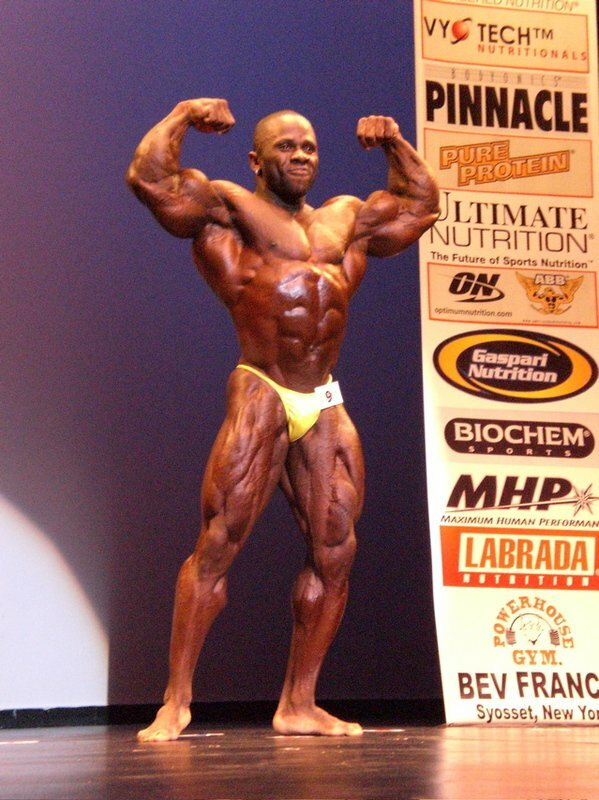 Silvio Samuel At The 2007 Arnold Classic. David did some remarkable things last year at around this time, but since then, and fallen behind. I think he's been neglecting the one thing that got him those great placings in 2006, which is conditioning. If he brings back the package that was saw from him in the past, I'm sure he'll place 7th if not higher. However, that is a big if. He could easily correct his mistake since he's had plenty of time to correct his diet since the Arnold where he last competed. 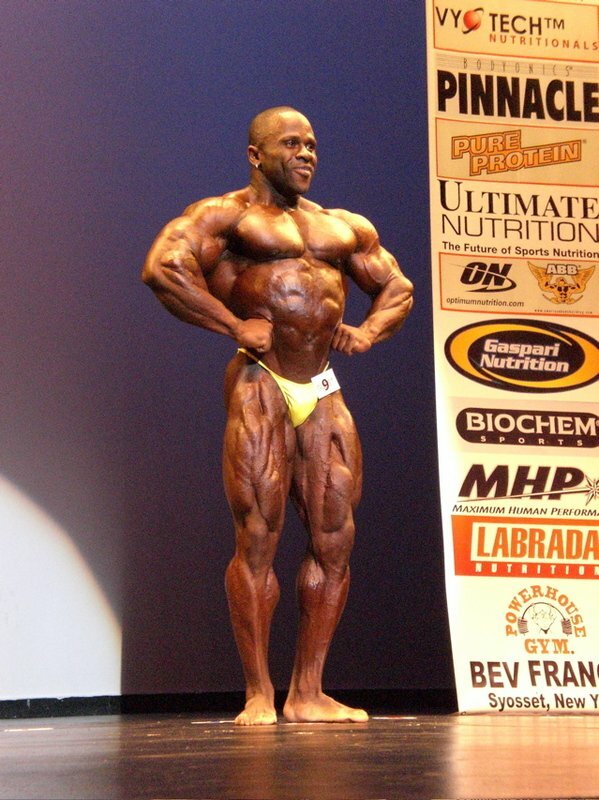 David Henry At The 2007 Arnold Classic. Unfortunately for him, so could Branch, Ronnie, and Silvio - all contenders who beat him then and will be back in the line up. David Henry At The 2007 Iron Man. Off of a 7th place finish at the NY Pro, I think Craig will be able to hold enough momentum to break into the top 10. Whether he places 8 or not, I really was just guessing, but I'm sure it will be within 2 places of this, give or take. 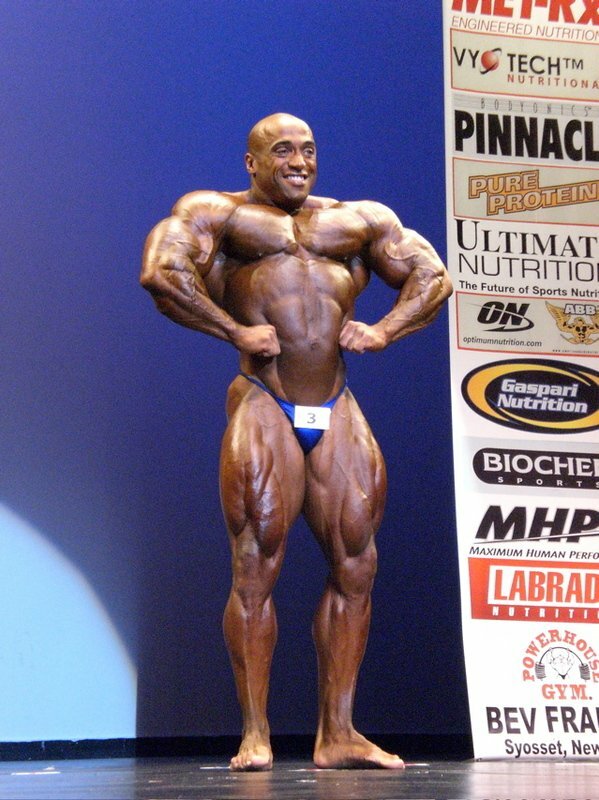 Craig Richardson At The 2007 New York Pro. With the exception of Olympia, all the shows he has done since 2004, he has placed within the top 10, and I believe the Colorado Pro will be no exception. Craig Richardson At The 2007 Keystone Pro. While Will's track record is very short, progress is still noticeable, even back in his amateur days. He does poorly, and then comes back the next year much improved. The year after that, he blows away the prior year. This seems to be his pattern. If in this last year he has made a bunch of improvements, look for him to be much higher than 9th. However, one year at his age and experience will not equal the gains he made in one year as an amateur, so I don't think he will be breaking into the top 5, but who knows, he could very easily prove me wrong. Franco has beaten Darrem Charles before ...unfortunately it was back at the Night of Champions in 2002. Since then Darrem has always beaten Franco at every show they have been together in, and even won two of them in 2005. So I don't think there will be any major upsets at the Colorado Pro. And what's worse, I don't think Franco has made any strong placings with the exception of his win last year in Spain. He has a nice set of wheels, and decent conditioning, but I really don't think he will do much damage at this show. I have never been to the Colorado Pro, however I have heard that the expo portion of Colorado Pro is bettered only by the Arnold and Olympia. The amount of sponsors and vendors Shawn Ray can round up is astounding, and I imagine that it would be a very enjoyable show for a spectator. The only way it could be better is if it was at a lower elevation because I have heard it's hard to breath at that altitude unless you are used to it. Johnnie Jackson is a contender for the title with an intimidating presence, amazing guns, delts, chest, legs and improved symmetry. His back is thick, wide and detailed. 2007 looks to be his year, the world strongest bodybuilder is coming in strong after his first pro victory at the Montreal Pro Classic. His confidence and presence onstage shows the attitude of a winner. Johnny is coming to prove that he is the man to beat for the title and no one is going to deny his second PRO victory. Speaking of mass monsters, despite his frightening appearance Branch is coming hard and dry to be on the money. His sheer size always makes him a threat. His delts are the most impressive of all the contestants. His traps almost pinched his ears when he hit his most muscular and his legs are unbelievable. Guns and back are great but could be better. Branch is coming for his second pro title of the year so watch out! 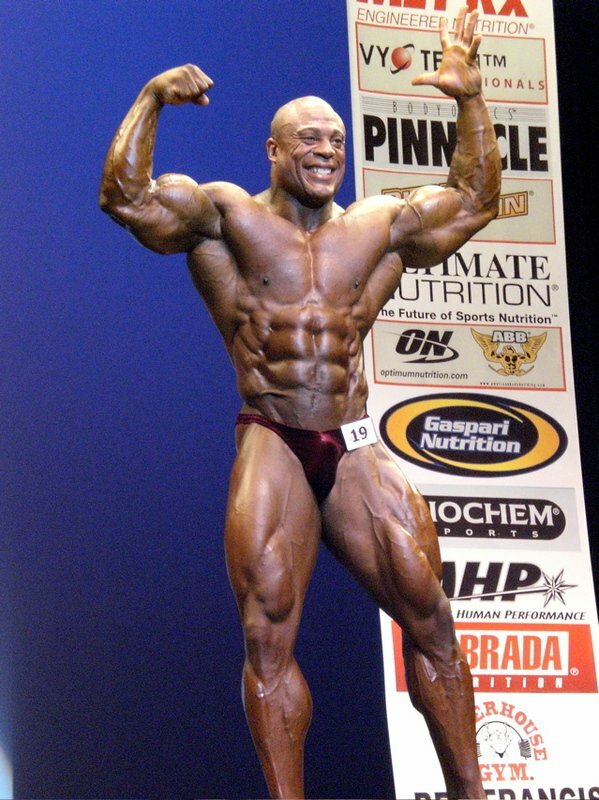 Branch Warren At The 2007 Arnold Classic. Darrem Charles is coming in razor sharp. With his traditional big guns, delts, lat thickness awesome quads all on a tiny little waist. 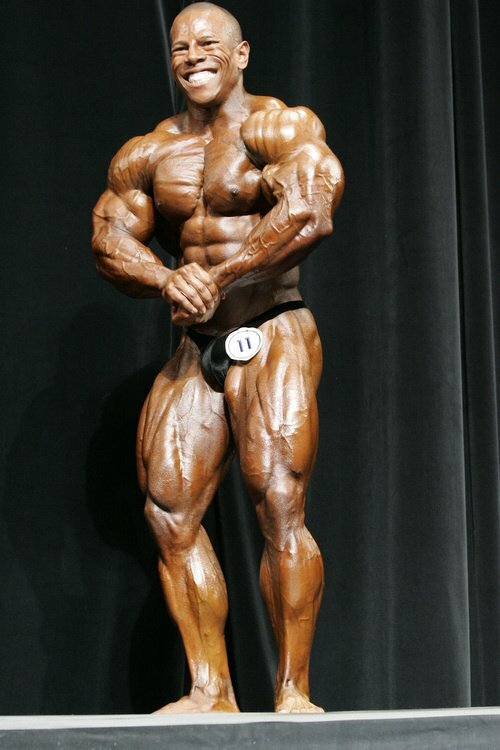 He had striated glutes and hams and incredible separation that make him the favorite to take every show he is in. No one is expecting to see him come in with new size added and that's going to be his strategy this time. Darrem takes competition very seriously and his second place at last year Colorado Pro just loaded his confidence to prove that he is the real deal in the IFBB. 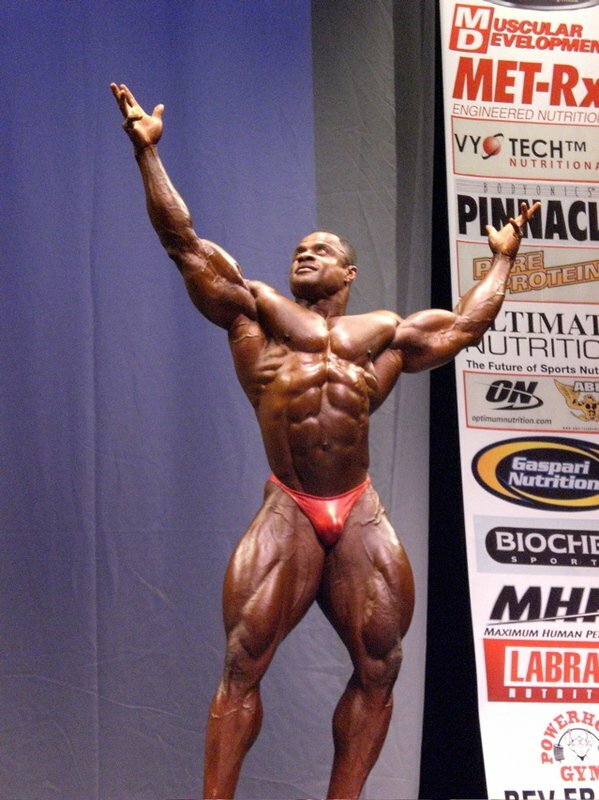 Silvio Samuel, He has one of the most complete physiques on the planet. He has the roundest back with great detail and thickness. Quads, hams and calves are from another world. The thickest chest and major guns round a package that comes complete with the smallest waist of any of the mass monsters today. You won't see a better aesthetic bodybuilder than him. I predict Silvio to nail his condition and get a top place for that. 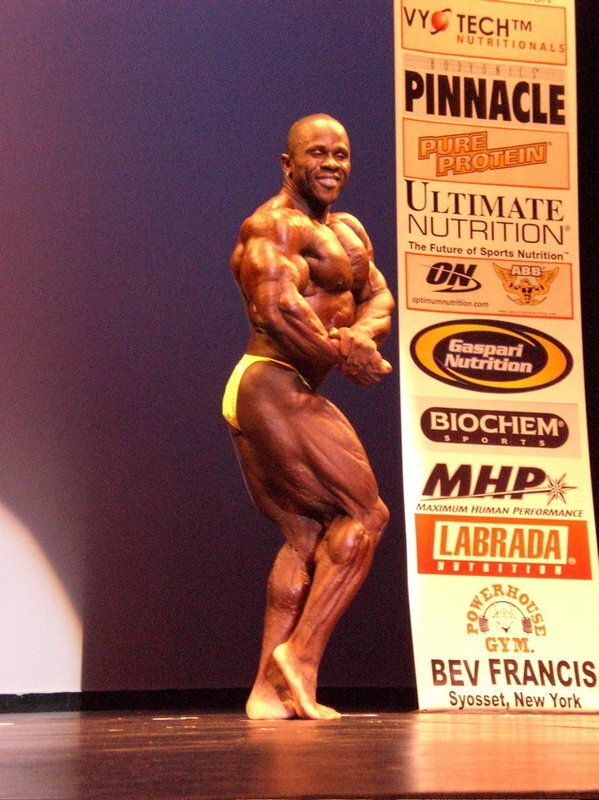 Silvio Samuel At The 2007 Sacramento Pro. Craig Richardson, is going to be remarkably hard and dry from the front and side. With great arms and delts and a very classical physic. His back is going to be ready and conditioned from top to bottom. His waist is very small and pretty tight reminiscence of Flex Wheeler, he looks to be the next sensation to arrive to the IFBB since Darrem Charles. Omar Deckard, striated from top to bottom. Omar is a magician that shocks everybody with his posing prowess. It's nice to see that guys can present themselves well. It's better for the sport. Omar just needs a little more tightness and sweep to his lower quads and he is going to be the total package. Omar Deckard At The 2007 Sacramento Pro. Leo Ingram, I predict him to be at least seven percent sharper, while still maintaining his fullness that his last presentation at the NY Pro. His remarkable back and shoulders thickness gave his torso unbelievable depth. Trademark Arnold-like arms would be in attendance as usual. Leo is riding one h*ll of a wave into the 2007 contest season. His stage presence is going to be remarkable as always and he is pro caliber to be toe to toe with mass monsters and seasoned veterans. His posing routine is going to be spectacular, if crowd reaction counts for anything. He's certainly is one of the most improved athlete of the year and he's just getting started. Leo Ingram At The 2007 New York Pro. Ed Van Amsterdam is going to be a surprise. With his great shape and symmetry he could place on top ones again. He had a nice back, with incredibly thick lats from the front and rear. Great striated hams and glutes rounded out the lower half. With his new size added he is going to be battling for the top. Ed Van Amsterdam At The 2007 Keystone Pro. John Sherman, is going to be at his best and I predict him to be the driest he's ever been. His lower back is over the top. John would be full and diced with striated hams and glutes to prove it. If he added more size to his frame he is going to be up for the hype. John Sherman At The 2007 New York Pro. Frank Roberson - after his disappointing outing at the NY Pro he must be looking for another chance to prove that he is a top contender for the title. His nuclear caliber guns, chest, sweeping quads and hams are going to be his arsenal to battle for the top. 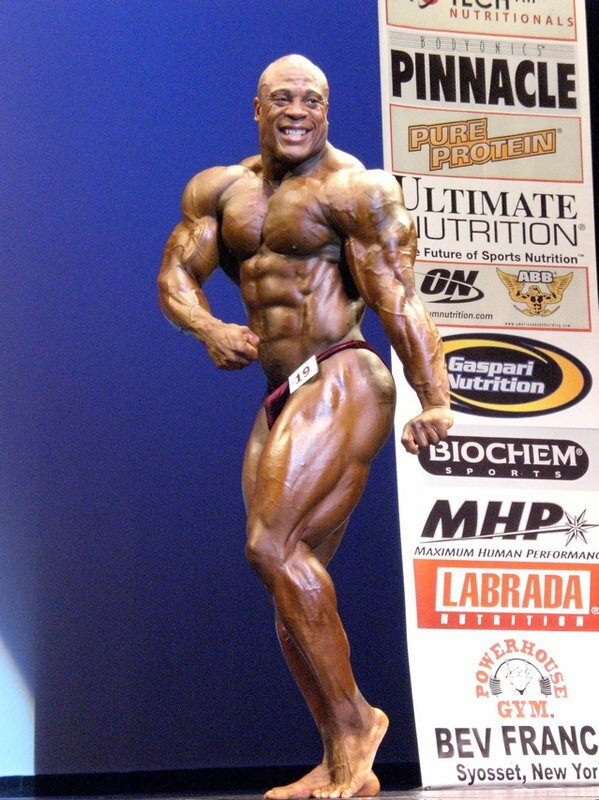 Frank Roberson At The 2007 New York Pro. Did You Attend Last Years Colorado Pro Show? If So, What Did You Think Of It And How Was Your Experience? Was It What You Thought It Would Be? How Could It Be Made Better? I never visited Colorado so for that reason is very interesting for me to go there and attend to one of the most prestigious event of bodybuilding history The Colorado Pro and fill the excitement of the venue and the live crowd. I heard good things about the promoter Shawn Ray about taking care of the athletes and such things so I think it is going to be a great experience. The 2007 Shawn Ray Colorado Pro Classic looks to be an interesting battle. My top 2 contenders are Dareem Charles, last year's runner-up, and Branch Warren, the winner the New York Pro Show. Warren is the favorite for a couple reasons: He just came off a win at the highly competitive New York Pro Show and he has by far the most mass in the competition. If Branch adds sharpness to this, he's the obvious pick. Branch Warren At The 2007 Keystone Pro. Last year's runner-up, Charles has proven that he can perform here. With last year's winner Phil Heath not competing this year, Darrem has a very good chance if he comes in shredded and has some added mass. He's definitely big, but are his high lats a problem? I think they will be for the judges, and he'll take 3rd unless he comes in shredded like he looked late last year. Look at this guy. I mean, he's shredded. He'll take 4th but watch out for him to sneak up into the top 3 possibly. Jackson hasn't competed since the Olympia and could sneak up on some people if he is peaking, but I think he'll finish 5th. Henry just doesn't have the size to place in the top 5 and he'll finish 6th because the guys ahead of him have much more mass. David Henry At The 2007 Ironman Pro. Samuel is in great shape, but he has competed in too many shows and won't be in his tip-top shape and we'll finish in 7th place. 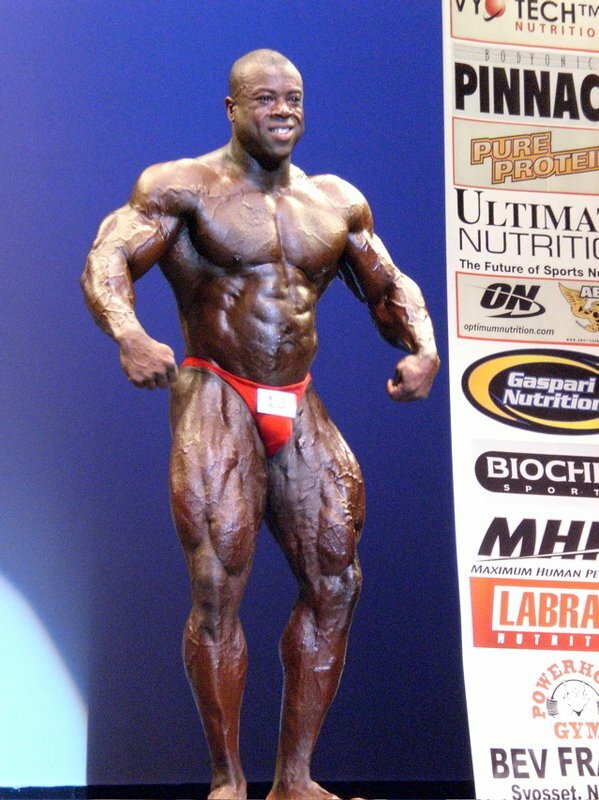 Silvio Samuel At The 2007 Ironman Pro. He struggled to get a good spot in his past shows but we'll probably be peaking and we'll be my sleeper and finish in 8th. 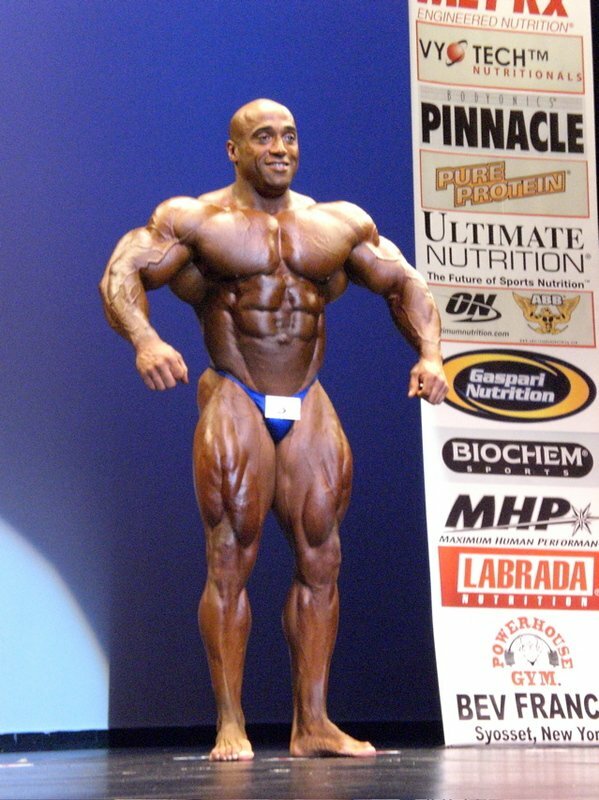 Marcus Haley At The 2007 Arnold Classic. Just as his name says, he'll sneak up on some people. Not many people have Jackson placing in the top 10, but he's shredded and has packed on some solid mass. Watch for Tricky to come in the 8-10 range. Ricky (Tricky) Jackson At The 2007 Keystone Pro. Cannot forgot about Craig, always comes in to compete solidly, and he's a good pick to round out my top 10. I think the Colorado Pro shows compares pretty well to other shows. There won't be any dominating bodies in the show which makes it very intriguing, but I think better names could be in the show. One thing's for sure, there is definitely not a certain winner as of now. I think this show is about the middle of the pack place wise on the bodybuilding schedule. No, I did not attend last year's Colorado Pro Show. I definitely wanted to, but with school and the fact that I live on the east coast, I couldn't make the trip. The Colorado Pro looks like it will be another close one where the judges will not award all the points as they claim they will. Guys with a more statuesque, classical, Frank Zane-type look are just not being rewarded the way they should be. Everyone can come in dry, some guys can come in huge, and some can't... but only a select few can come in with the best of both worlds, and a sleek muscular look that can be desired by all bodybuilders. The huge names aren't at the Colorado Pro, the top guys from the Olympia and the Arnold... (Ronnie, Jay, Victor, Gustavo, Dexter) and this is a good decision just because fewer shows done per year = less time spent dieting down = more time to gain mass. This is precisely my theory as to why guys often win so many Olympias in a row. As the guys not winning the Olympia enter more shows, therefore they diet more of the year. The Olympia winner focuses only on gaining mass year round and can implement a prolonged conditioning plan leading in to the Olympia. Without breaking diet from the NY Branch will come in with the best conditioning you have seen in a while, along with his trademark size, and thick pecs. Hopefully he will have a transformation like Jerome Ferguson between his back-to-back shows the USA's and NPC's with different results. Branch could come in looking just as he did in the NY and take this show; I think it is his to lose. He certainly has the size. This is a guy that you just want to see get some more wins. He seems snake bit almost like Chris Cormier. Darrem has a more classic physique and has never entered a show with less than flawless conditioning. Hopefully in his first show of the year he will have made some corrections to his physique, and done what he thinks he needs to do to win. I hope he knows what is it because I sure don't. These are two spots where I think guys will be very close to one another. David Henry and Johnnie Jackson have very similar physiques. If Johnnie comes in condition I think he will edge out David Henry. David Henry & Johnnie Jackson. I'm thinking Dennis James in the 5 spot because of the conditioning of these guys in front of him. 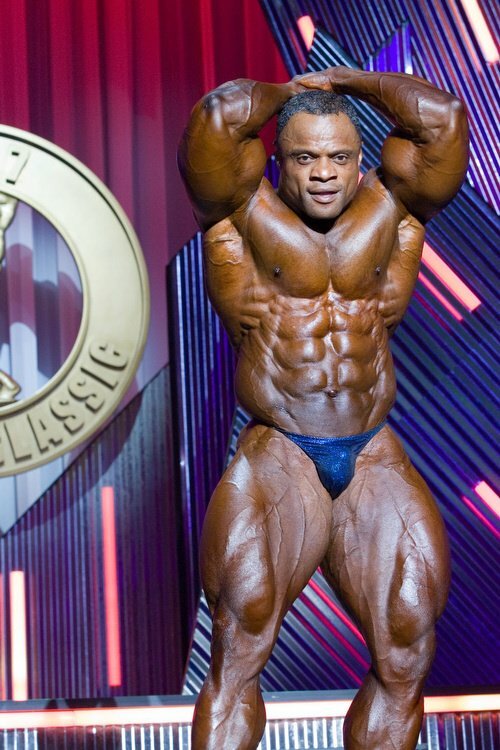 Dennis is one of those guys who looks like my Olympia with a tank top on, but he steps on stage and his legs lack some tightness, and his symmetry isn't fantastic. 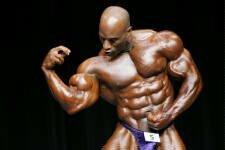 His size is incredible, however Dennis from about 2002 might be able to take this show, but I doubt it with his current physique. I'm going Silvio Samuel here. He ended 5 in the NY and I think he's got a few more guys to contend with in this one and he will suffer in the higher level of competition. This is about the spot I expect to see a guy like Craig Richardson. He has a more appealing physique, he looks almost like Dexter, or a smaller Victor. If the judges would award him more for his aesthetics I could see him coming in maybe as high as 3, I look forward to see where guys like him are going to finish if they come in conditioned. I'm looking for John and Francisco to still be on their game from the NY and a close run between the other 3. The Colorado apparently just isn't getting the names that a lot of the other shows are and I'm really not sure why that is. I think guys are picking shows earlier in the year and later in the year to preserve their bodies. It's gonna be a great show though, and I expect a tight finish unless Branch comes in looking really good. This is definitely a show I feel guys like Desmond Miller, and certainly Dexter could come in and be top 2, certainly Darrem should be there, I can't wait to see how it turns out.